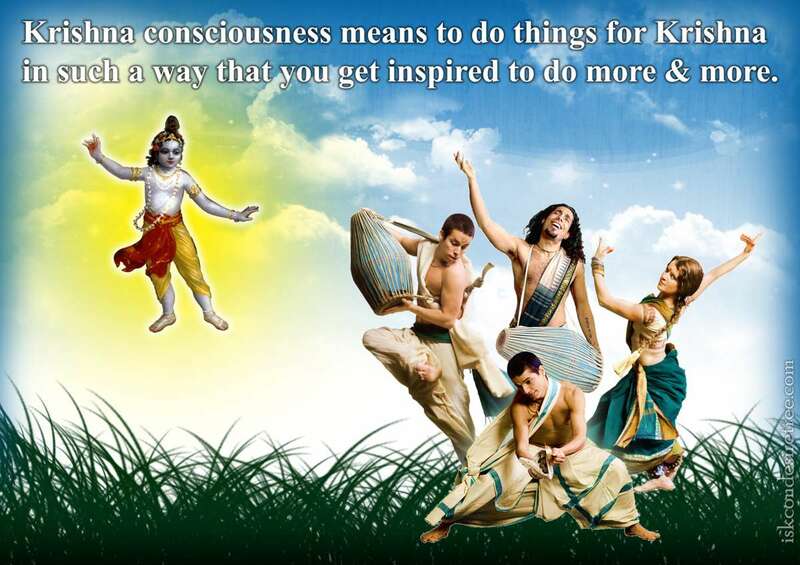 Krishna Consciousness means to do things for Krishna in such a way that you get inspired to do more & more. 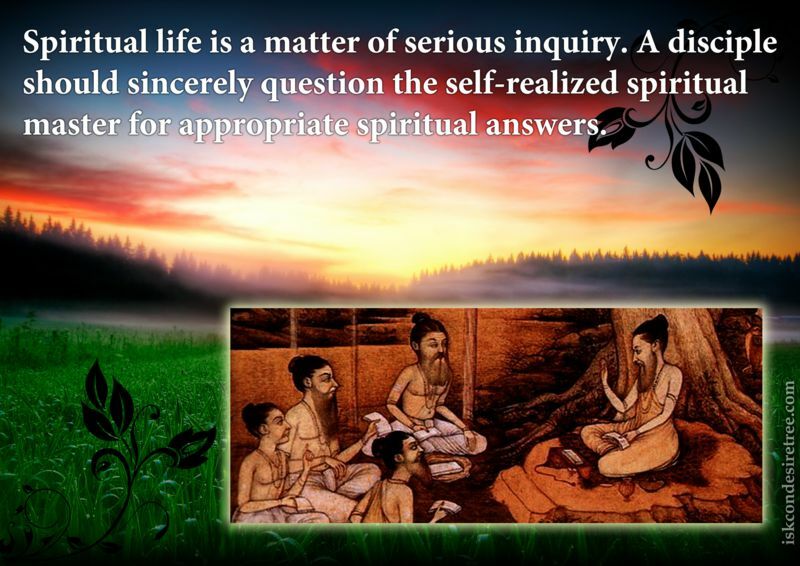 Spiritual life is a matter of serious inquiry. A disciple should sincerely question the self-realized spiritual master for appropriate spiritual answers. When you come before spiritual master, be prepared to get chastised. 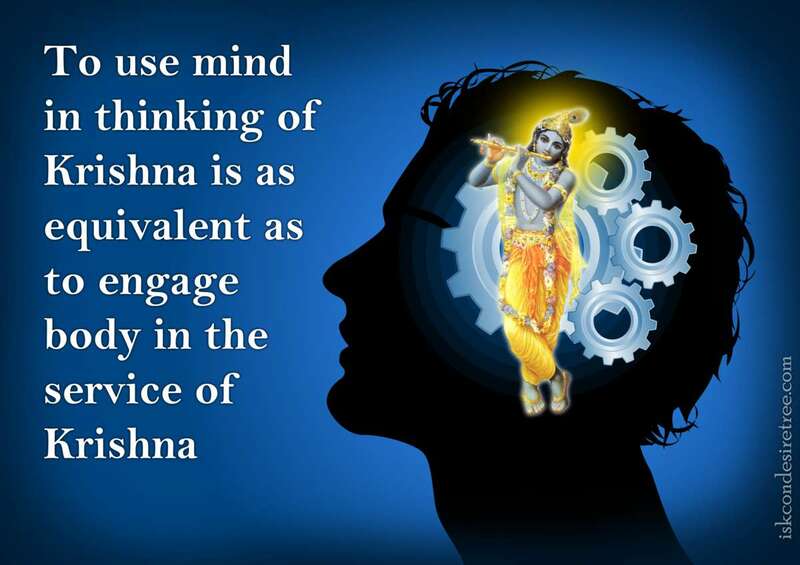 Spiritual Master's business is to do that. 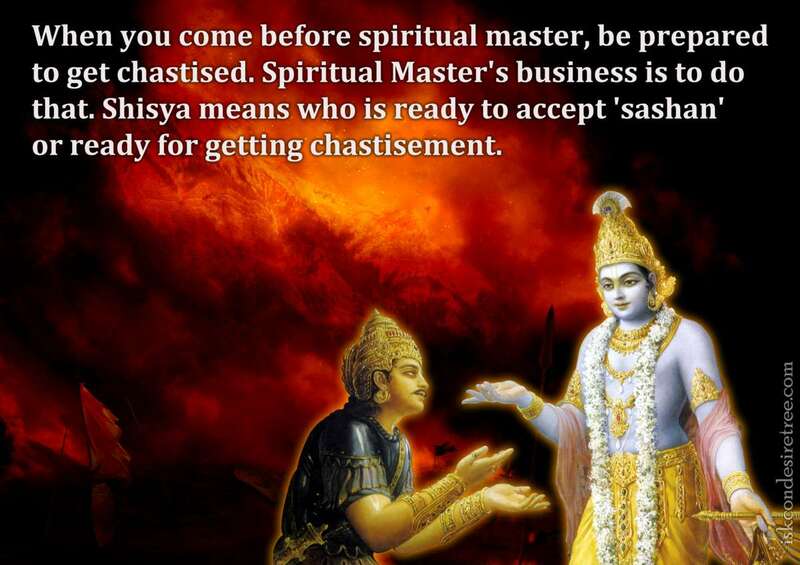 Shisya means who is ready is accept 'sashan' or ready dor getting chastisement.